Ordering Chinese food can be a nerve-wracking experience, particularly if you don’t speak or read Chinese. Get it wrong, and your fears of being served platefuls of unmentionable animal parts might be realised. But get it right and you’ll receive the adulation of your fellow diners – one guest even proposed to me after I ordered a particularly good meal in Chongqing. A good rule of thumb is to order one dish per person – we’ll call this n. Exceptions to this rule are if you’re eating with teenage boys (when you’ll need n+2 dishes), older diners (n-2), in a cheap restaurant where the portion size is often generous (n-1) or a particularly expensive restaurant where the portions are generally much smaller (n+2). It might be tempting to take a democratic approach to ordering – everyone choosing one dish, for example. Do not give in to this temptation. Ordering a good, balanced Chinese meal requires one person to have an overview of what’s been ordered. If each person orders their own favourite dish, you are very likely to end up with deep-fried everything, or five plates of vegetables. While I was at university in Beijing, I frequently ate with a classmate. Somewhat boringly, I always chose something that I knew I liked, while he chose something he didn’t understand from the menu. The typical meal involved this eggplant dish and a plate of rabbits’ heads or – once, memorably – ducks’ tongues. That’s not to say that you should ignore diners’ preferences and just order what you want to eat yourself. Say someone’s dying for beef, or fancies trying something spicy or a local delicacy, and that can and should be incorporated, if it works with the rest of the meal. I chat to waitresses a lot more in Chinese restaurants than in Western ones; asking what’s fresh, which green vegetables they have, whether their deep-fried wonton are any good, and so on. Often the answers are very useful/honest, and on more than one occasion, I’ve been warned off ordering a dish because “it’s rubbish”. This might be a challenge if you don’t speak Chinese, but start by addressing your server as měinǚ (美女， “beauty”) or shuàigē (帅哥, “handsome”), and you’ll be off to a good start. 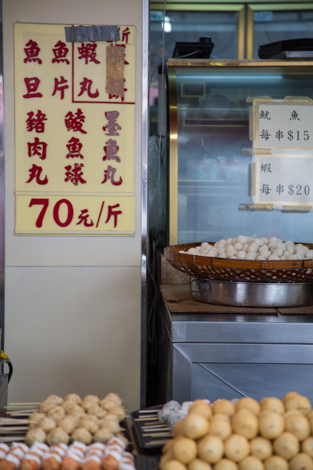 In the same vein, restaurants in touristy areas will often have two menus – one full menu in Chinese, and one abridged version in English and Chinese. If you’re able to understand it, try to get hold of the full menu, as it often has more interesting dishes on it. If you can’t understand it, stick with the abridged version, and rest assured that the prices ought to be the same on both. A good meal demonstrates a balance of temperatures (by including cold dishes as well as hot), cooking styles (stir-frying, steaming, deep-frying, etc.) flavours (spicy, sweet, savoury) and ingredients (vegetables vs. eggs/tofu/meat), with a nod to whatever the restaurant’s speciality is. I generally try to avoid ordering the same type of protein more than once in a meal, unless the cooking method is very different; roast duck and duck soup, would be fine perhaps, but roast duck and soy-marinated duck would be overkill unless you had a large group of people to share them amongst. 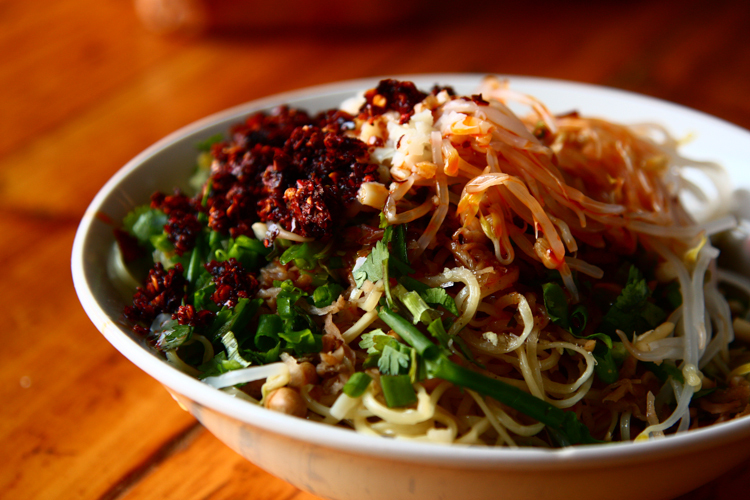 Often, a meal will only feature one starchy dish (主食 zhǔshí) – rice or noodles being the two most popular choices. 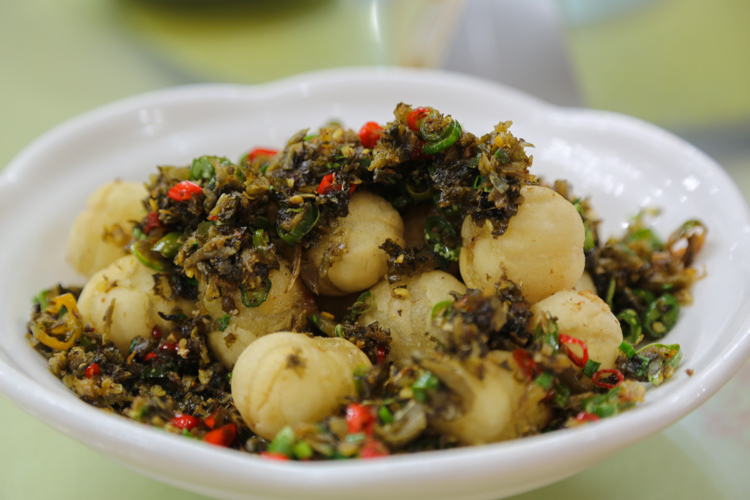 In mainland China, these dishes are often served at the end of the meal to fill any space you still have left, while Hongkongers and most foreigners prefer to have their zhushi served with the meat and vegetable dishes (which are collectively known as 菜 cài, pronounced ‘tsai’). There’s no hard and fast rule here, just ask for it when you want it. Many Chinese people feel that a meal isn’t complete until the soup has arrived – which it usually does at the end of a meal. Soups often include ingredients found in regular stir-fried dishes, so make sure that you’re not inadvertently ordering the same thing twice. P.S. A version of this post was first published on my travel blog, Little Yak.